You will be given a reference e-book to read which has 321 pages And the test will be based on that e-book , you can take final test within 1 year of purchase. The merger or acquisition process between two or more businesses is a delicate, political and social and that must be executed with perfect precision, lest disaster arise. Someone specializes in the overseeing of a merger or acquisition is someone who understands corporate culture, sociology, business politics and business law intimately. Individuals who specialize in this field must be able to work with delicate processes, and oversee unique forms of diplomacy between company heads, employees and other professionals. But, before conducting a merger or acquisition, one should have the science behind it mastered. When a merger occurs, two completely different corporate cultures must learn to coexist under a new, centralized authority. This is like expecting two nations with common goals but different cultures to become one, United Nations with a singular vision. This is not easy for employees, management personnel, or other components of various business firms. Their ideals, authority and sense of self are about to be challenged. Someone overseeing a merger must be able to help everyone overcome this. Acquisitions are even trickier, as one company absorbs another. In doing this, hurdles similar to mergers must be overcome, but often in more extreme degrees, and in various different ways. These are but a few of the challenges faced by someone overseeing mergers and acquisitions. This is something to be studied by those who are going to participate in some form or another with a merger or acquisition, but also a course for those who wish to specialize in the overseeing of mergers and acquisitions as well. There is a line of perfection for those who specialize in overseeing its processes, as well as drafting up plans for implementing them, and minding negotiations between the individuals involved. This is a profession that will need to remain as long as the or for world functions, and so this is a profession that always has job security, and open opportunity. Those about to engage in one of these processes, or who wish to work with overseeing these processes for a living needs to take a mergers and acquisitions course, and order to obtain a mergers and acquisitions certification. The best way to do this is through an online training course, also known as online certification. Online certification is one of the benefits of the 21st century. Online certification eliminates classroom schedules, costly tuition and other strenuous and expensive aspects of the classical classroom environment. This gives busy professionals the ability to study on their own schedule, while still upholding any other personal or professional responsibilities they may have. It's important to remember that not all online certification providers are one and the same, and in that logic, one must be the best. 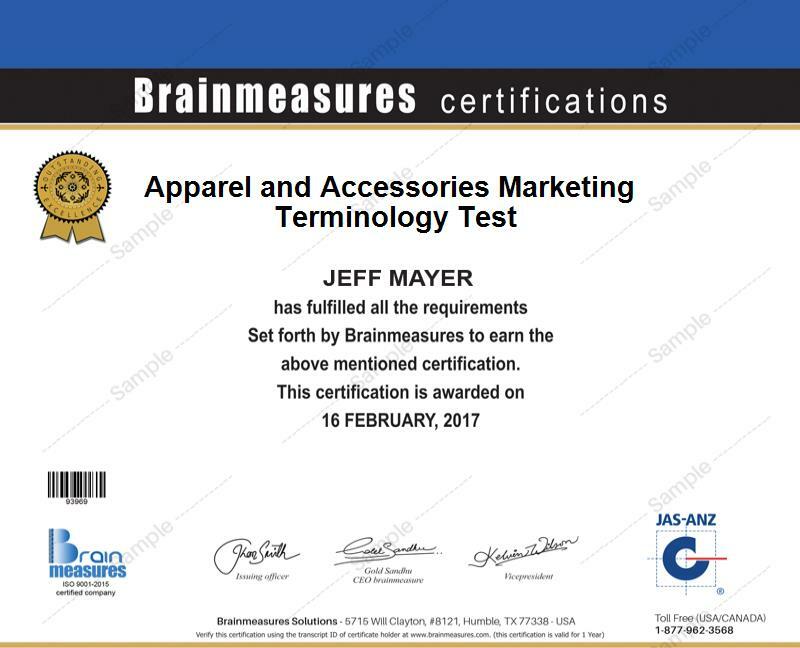 Brainmeasures is the best available online certification provider. This is because we use a new, unique practice in designing our courses. We have top-of-the-line professionals who work closely with experts in every field we teach, and these minds work together to create inclusive material. On top of this, our course designers draw on the experience of field experts in order to transmit some of their experience into the students through example learning. This means that a student with a Brainmeasures certification as a level of experience that no other entry-level employee could possibly ever have. This course consists of the Brainmeasures mergers and acquisitions course, followed by an online exam. Passing the online exam will award a certificate to the student. The specialized jobs in mergers and acquisitions can pay between $99,000-$450,000 a year, after some experience it can reach up to $512,000 a year.